I remember when record pools actually serviced RECORDS. They sent out boxes of vinyl. You’d get a box a month, sometimes two. About 20-30 pieces in the box. You’d get cool stuff, hot stuff, new stuff, white label stuff, and junk. Part of the deal was to listen to all of the product and give feed back to the pool director. This information would be passed along to the record labels so they could get grass roots/direct response from the streets and clubs. Let me take a beat here and point out this isn’t about glorifying wax. Far from it. This is more about how record pools fulfill what a DJ requires nowadays. I have a Jewish wedding coming up; I need a pool that has Jewish music. I have a Quinceañera, I need a pool for Spanish music. I can’t find a pool that has the tracks I need, which pool does? I can’t exactly pinpoint the moment things changed… when pools went from being a vehicle to service promotional releases to working DJs providing ANYTHING any DJ may want. And not only anything, but unlimited access to entire databases, back catalogs, site libraries, and remixes; all for $9.99 a month. I’m not going to get on my soapbox (today) about how absurd and unrealistic that expectation is. But stop and THINK where else in the consumer market can you get unlimited access to obtain content (be it physical or digital) for $10-$20 bucks a month… and it’s OK? Where do you think that pittance of a fee goes? How do you think these “pools” offer unlimited downloads for content that has bootlegs, unsanctioned remixes and older music that isn’t being worked by the A&R / promotional divisions of record labels? DJs need to stop, think and realize that their $9.99 a month doesn’t entitle them to download the host server. And the “pools” that offer this service are doing NO ONE a favor. I’ll spell it out… Pools that offer the sun, moon and stars for less than an over the top lunch at Applebee’s are not operating completely above board. What I am going to pontificate on is the expectations of DJs and how those expectations need to be grounded in reality not in desire, want, or need. Let me make a quick stipulation here. I get that as DJs we need music. It’s at the core of what we do. It’s our life blood. Without music, we wouldn’t be DJs. I also get that as DJs, we will go through ALL KINDS of hoops, obstacles, mazes, and land mines to obtain tracks and (re)mixes to songs we deem important. We gotta have the dope stuff by any means necessary. I get it. However…. It’s not the role of the record pool to stockpile your cupboard. It’s not the role of record pools to provide every DJ with EVERY possible piece of music, old, new, hot, different, ethnic or obscure. There aren’t Indian music record pools. There aren’t Psycho House Dubstep record pools. There aren’t 80’s music record pools. Guess what DJ’s? If you wanted 80’s music serviced to you, you needed to be born in the 60’s. If you need 80’s music today for a corporate event, buy it. Bottom line… music is our inventory. We have to keep a fresh supply. If you’re savvy, you don’t count on one source or have a limited set of suppliers to keep that inventory intact. There is no single record pool that is one-stop shop. There is no record pool that is all things to all DJs. As such, you just might have BUY a track or three here and there. It’s not the fault, or the responsibility of the record pool if it doesn’t have a track you “need”. You can blame the record labels for not servicing the pools. I gotta go do my homework and collect my new tracks. Keep ‘em spinning. Posted in Building A Better Business, DJing Tips, For the Love of Knowledge and tagged best record pool, Record Pool on January 22, 2019 by djnickjames. As we embark on a new year, I think it’s important to assess where you are at and where you want to go in 2018. I’m not talking about fickle New Year’s Resolutions but more to steering your business in the right direction. 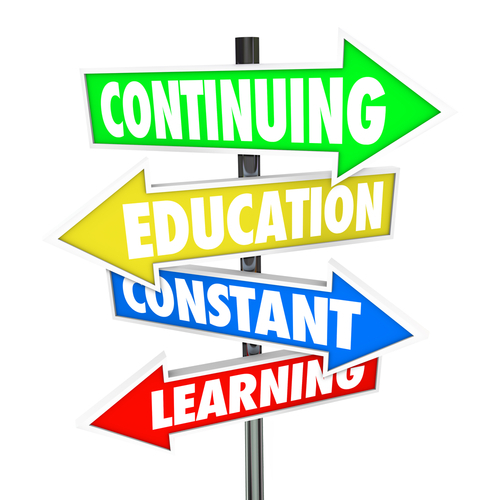 For some, no major course correction is needed. For others, you many need to completely change directions due to where the wind in your market is taking you. Over the years, I’ve found that there’s a pattern to growth and it’s not a linear thing. It’s like a triangle – you keep going through it. You’re either in need of conferences, workshops or coaching/mentoring. All of them have their place but I thought as you start thinking through your 2018 budget, this is a perfectly timed topic to talk through each one. 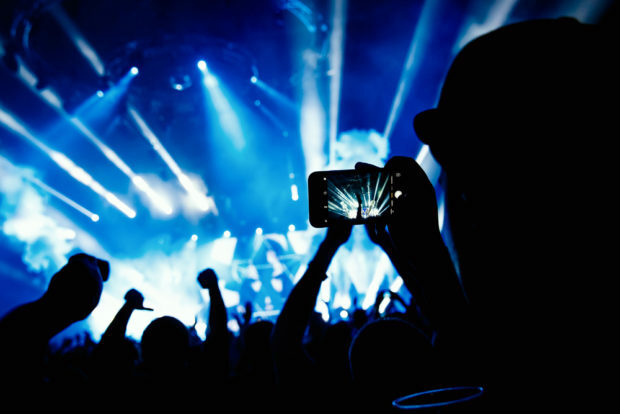 There’s really 3 “national” DJ conferences out there: Mobile Beat, Marquee, and the DJ Expo. While you can definitely pick up some things to help your business at any of them, these conferences are mainly inspiration and network heavy. To encourage attendance, the show producers have to cast a wide net and cover as broad material as possible. You have the beginners all the way through to the industry veterans. It’s a great way to re-charge with your DJ brothers and sisters as well as take in a ton of information over a couple days. However, the reality is that it could take weeks if not months to go through all your notes and implement a strategy to employ some of it. Typically, workshops are more narrowed in scope. You are drilling down on a specific subject matter (or two) rather than a large range of categories. For example, you may want to improve with mic etiquette or scratching or sales, etc. If there’s an area that you feel you could use some development in, finding a workshop to address that area could be the solution. The other advantage to workshops is that you interact with those who are looking to learn the same type of subject matter. That can bond you together with a person you may never have had a chance to meet otherwise. So far it may appear like each one of these options is a step up from the other. While coaching/mentoring could feel that way, I honestly think it could be a great first step. Rather than undoing bad habits or mistakes, you are able to deal with issues in real time. Finding a coach or a mentor isn’t cheap (not for the good ones at least) but it saves you a lot of money in in the long run. These sessions are either in one on one settings or in a small group (10-20 people) whereas a conference may have thousands and a workshop could have up to a hundred or so. The constant touches (at minimum you’re meeting a few times a year but most meet weekly or monthly) and accountability with coaching/mentoring makes a ton of difference in not only getting started with a plan but staying the course. For myself, I’m in the coaching/mentoring category this year. Not only am I being coached in 2018 but I’m also coaching others. I’m only a few days in and it’s already been rewarding. What are your needs? What category do you fall in? It could be you need a little of all three. The reality is that doing any of these three things is going to put you ahead of 90% of your competition and give you a leg up. I hope to see you in one of these settings in 2018 and if I can help you at all, don’t hesitate to reach out. Posted in Building A Better Business, DJing Tips, For the Love of Knowledge and tagged Consultants, DJ Business, DJ Conference, dj tips, DJ Workshops, promo only, Record Pool on January 15, 2018 by djnickjames. Last month we talked about how the vast majority of people have their smartphone within three feet of them at all times and the three important items you need to be sure you have on your mobile website to capture their attention. This month, we’ll be highlighting the social side of social media (Facebook, YouTube, Twitter, LinkedIn, Snapchat, Pinterest, etc.). For this article’s purposes, we’ll be focusing on the biggest of the social media platforms, Facebook. The best way to navigate Facebook is to hire a professional to handle your contests or at minimum consult with one to find the best contest app for your desired outcome. Why? 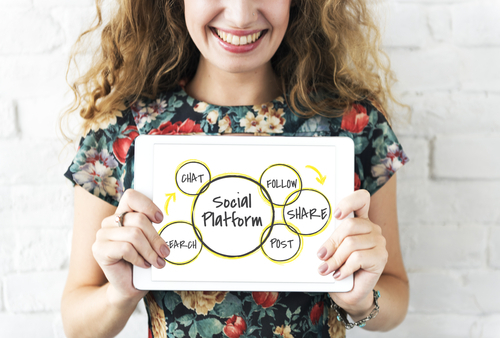 You must be careful with the methods you use to generate “likes.” Facebook has rules, especially regarding contents, and failure to adhere to those rules can get your page taken down, requiring you to build your entire Facebook presence again. Taylored Weddings has recently consulted with Caryn Terradas of SpeakEasy and has had great success with her abilities to increase our exposure and outreach on our Facebook page. That said, do your due diligence in consulting an expert; there are many fly by night companies trying to get into the game of social media management. Okay. You’ve consulted with an expert and determined what you want to achieve with your page. Now what do you say? My good friend Brian Kelm, Master of I Do, has a great approach and one that I have adapted to my business with great success. 1) Be sure to friend your clients on Facebook. This will allow their friends to see your postings when you tag them in one. By including the venue and other vendors you actively promote them as well. It’s a win-win for everyone! You may also want to try a Vendor Of The Week Bridal Tip Tuesday, Wedding Wish Wednesday, Tradition Thursday, or Friday Fun Facts. I know one company that does well having a trivia contest and others who put up YouTube videos on their wall and have their fans post their favorite clips as well. The bottom line with any social media is that you must be GENUINE and interactive. Today’s clientele can spot a phony and a sales pitch from a mile away. Provide value first, cultivate the relationship and the referrals will come! Posted in Building A Better Business, DJing Tips, For the Love of Knowledge and tagged best record pool, Consultants, dj tips, Increase Business, Life Hacks, promo only, Record Pool, Wedding DJ Tips on December 27, 2017 by djnickjames. Playlists. 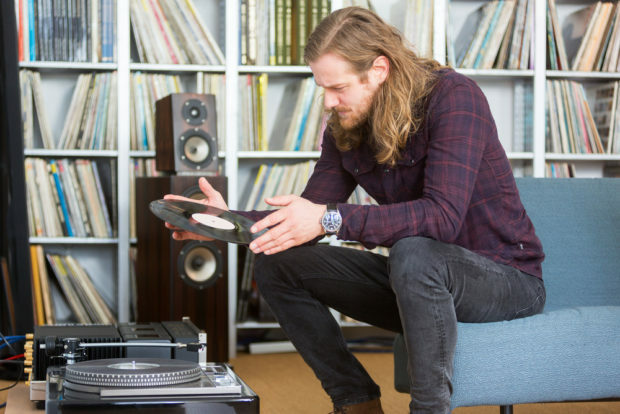 The Demise of DJing? 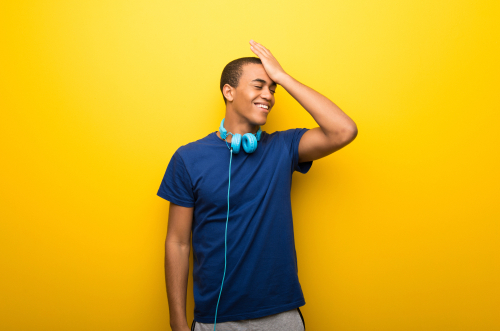 Google “playlists” and you’ll likely get the following results: Best 25 Playlist Ideas on Pinterest, Playlists from Spotify, Playlists from Soundcloud, Playlists from Tidal, The Ultimate Wedding playlist… none of which bode too well for the DJ industry, at least as we know it. And there is no stopping the trend. In a relatively short span of time, playlists have grown from innocuous lists of songs individuals put together to run, work out, enjoy in the car, etc. to defacto musical blueprints for weddings, parties, and life experiences. I don’t want to come of like some old geezer that doesn’t embrace technology. I’m a geek with a very well populated hard drive and the skill to know how to use it. So I get that playlists serve a purpose: it’s how most people organize, cultivate and share their music. But playlists are also dumbing down the most important aspect of DJing — music. And it’s happening on two fronts. First, given the ubiquity of playlists, regular people (i.e. people with the potential to sign your paycheck) are under the delusion that if they can pick tunes for their life events, why hire you to do it. Of course, as professionals, we know it’s not so easy to string along a set of songs together and whip up a party. Making a list of songs is easy. Making a list of songs work for a group of people in a harmonious, fluid, timely, and celebratory manner is hard. Secondly, as the digital age of music has immersed our society in streaming the music we consume, DJs (to me) have lost the drive and desire to explore music and seem to rely on playlists to do their thinking. It’s akin to having a tiger in captivity and a tiger in the wild. If a captive tiger is being fed, that tiger isn’t going to be as sharp as the wild tiger that seeks out and hunts its food. Don’t get me wrong, we’ve all asked for help with music. There is absolutely nothing wrong with seeking advice, assistance, and insight from your peers. It just seems to me that there are far too many DJs taking the easy road and expecting playlists to properly execute a well-played set. I know that playlists are not going away. I’m not daft enough to even suggest DJs shouldn’t use playlists. They are a great resource when used to supplement your arsenal. But come on kids, don’t be lazy, don’t be complacent. Learn your music, learn your craft. The benefits and rewards you’ll reap will serve you for your entire career. Posted in Building A Better Business, DJing Tips, For the Love of Knowledge and tagged DJ PLAYLISTS, Music Format, Music Subscription Service, PLAYLISTS, PROGRAMMING, Record Pool, Serato, VJing, Wedding DJ Tips on September 13, 2017 by djnickjames. 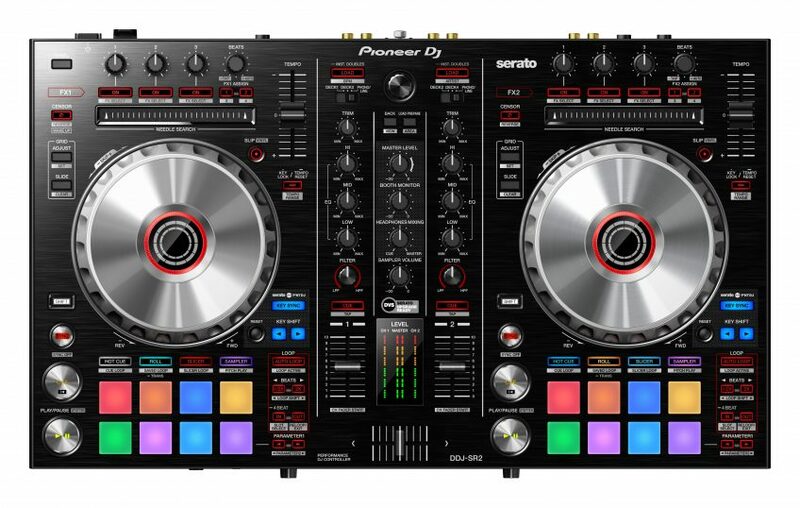 Pioneer has upgraded one of their popular Serato DJ controllers to create the 2-channel DDJ-SR2. You can use the new dedicated controls to get hands on with the latest features in Serato DJ, including the Pitch ‘n Time DJ Expansion Pack, with Key Shift, Key Sync, and Pitch Play controls. The lightweight and portable DDJ-SR2 is Serato DVS Upgrade Ready (license available separately), making it one of the most compact DVS-ready controllers*1 that enables perfect harmonic control using Serato DJ. The DDJ-SR2 inherits design traits and features from our professional DJ gear including multi-coloured Performance Pads that give you instant feedback on pad modes and playing statuses, plus generous space between faders, buttons and knobs for comfortable, intuitive mixing and scratching. Thanks to the high-quality aluminium-finish top panel and jog wheels, the controller is approximately 18 percent lighter than its predecessor, so you can easily take it wherever you go. 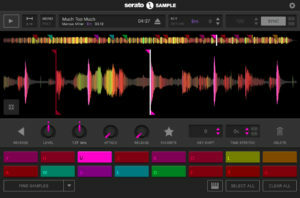 Download the latest version of Serato DJ to use with the DDJ-SR2 from serato.com/dj/downloads. The DDJ-SR2 will be available from September at an MAP of $699. Watch the introduction video and find out more about the DDJ-SR2. Multi-coloured Performance Pads: Use the large, multi-coloured tactile Performance Pads to trigger Hot Cues, Roll and Sampler. Hit the pads and watch their colours change as they indicate the selected pad mode and playing status. Lightweight and portable: The DDJ-SR2 is approximately 18 per cent lighter than the DDJ-SR. Audio mixer feature: When you’re using the DDJ-SR2 to control music stored on your PC/Mac via Serato DJ, you can also use trims, channel faders and EQs to control audio from external equipment such as turntables and media players. Even when the controller isn’t connected to a computer, the trims and channel faders can be used for audio input from external sources. * Serato DJ is a registered trademark of Serato Audio Research Ltd.
* Mac and macOS and OS X are trademarks of Apple Inc., registered in the U.S. and other countries. * Other stated company names, product names, technology names, etc. are the trademarks or registered trademarks of their respective owners. Posted in DJ Apps, DJ Gear, DJing Tips and tagged DJ Booth, DJing, Music Pool, Pioneer, Pioneer Controller, Pioneer DDJ-SR2, promo only, Record Pool, Serato on September 8, 2017 by djnickjames. The HDJ-X10 headphones are equipped with our new 50-mm HD driver, making them the world’s first DJ headphones to reproduce high-resolution sound from 5 Hz to 40 kHz. The direct drive structure, with a newly developed diaphragm shape and voice coil, delivers high-quality sound without loss of quality due to mechanic loss. Creating rich bass notes and clean mid-to-high frequencies, the flagship headphones enable accurate point source monitoring, even at loud volumes, and allow you to make a deeper connection to the music. The HDJ-X7 headphones provide the same audio experience as the professional HDJ-2000MK2 model and feature a newly developed 50-mm driver. The shape and materials of the new diaphragm are optimized to create tight bass notes and clean high frequencies so you can enjoy accurate monitoring. The independent ground wire in the 4-core twisted-structure cable gives superior left and right channel separation, improving sound quality. In addition, the HDJ-X10 model features a highly reliable, detachable mini-XLR connector for outstanding sound quality. Take the HDJ-X model headphones on the road and feel confident they’ll handle severe conditions and heavy use. Each model has cleared the US Military Standard MIL-STD-810G Shock test, as well as our own demanding stress testing. Durable metal is used in the moving parts of both the HDJ-X10 and the HDJ-X7 headphones to create a strong construction. Keep your headphones looking fresh for longer. The leather ear pads and headband cushion on the HDJ-X10 headphones are resistant to deterioration thanks to the use of nano coating, a world first for DJ headphones, so you can easily wipe off sweat and dirt. While we’re developing any new product we create numerous prototypes, each time with new improvements based on the feedback of professional DJs who test the equipment. Using this feedback and the results of our analysis of many different styles of monitoring, we’ve made sure the HDJ-X headphones are comfortable to use no matter how you wear them. 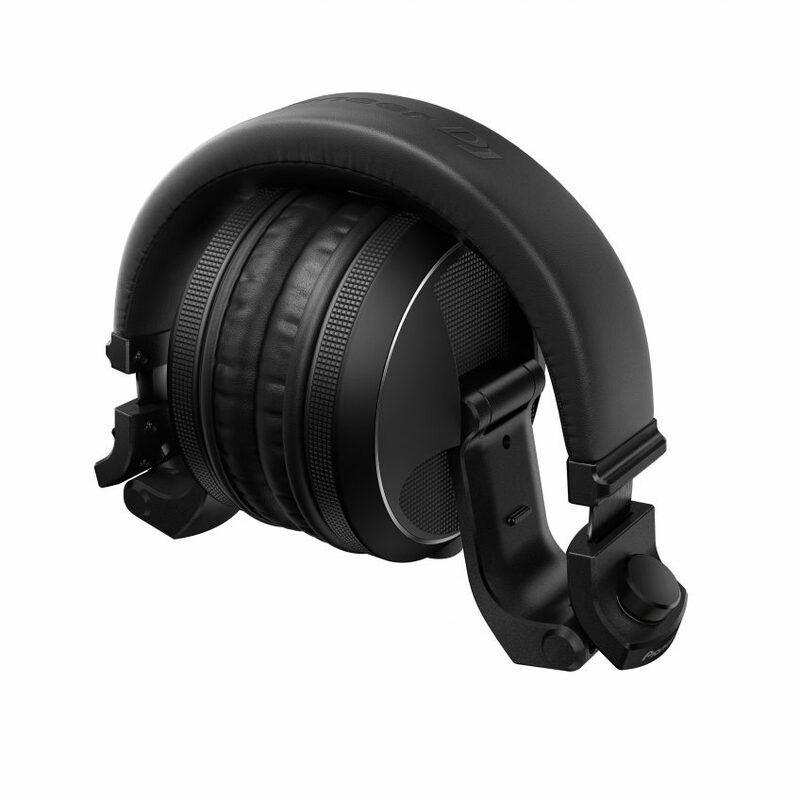 The housing design reduces pressure on your head and it’s textured on the outside for enhanced grip, so you can quickly grab it and start listening. To help you find the perfect fit, the HDJ-X headphones feature a flexible, durable headband. Passing our stringent test to open and close 20,000 times, it’s built to withstand intense use. 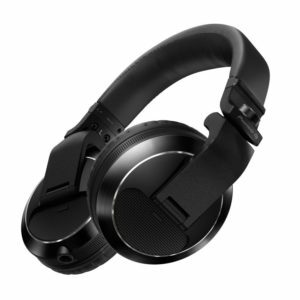 As successors to the HDJ-2000 models, the HDJ-X headphones inherit popular professional features such as flexible swivels to enable comfortable monitoring however you wear them. The housing on the HDJ-X10 model incorporates an auto-return mechanism so the rotated housing automatically resets to its neutral position when you release it. You can easily renew the detachable cables and ear pads on all HDJ-X headphones using replacement parts (available separately). Each model comes with its own cable and the HDJ-X7 and HDJ-X5 models have a mutually compatible bayonet connector, so you can purchase an alternative cable type if you prefer (available separately). Replacement ear pads for the HDJ-X10 and HDJ-X7 are available and either set can be fitted to any of the HDJ-X models, including the HDJ-X5. 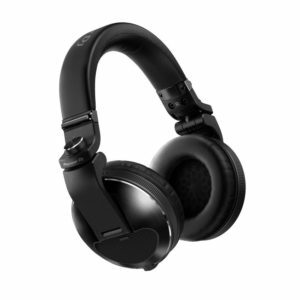 All the HDJ-X headphones feature a refined look and durable construction. The HDJ-X10 and HDJ-X7 models are finished in a metallic design incorporating aluminium spin processing and diamond cutting to the housings, which shine under club and stage lighting. Choose from black or silver versions to complete your desired look. When you’re travelling to gigs, you can be confident your HDJ-X10 headphones will be well protected in the included flat carrying case. Made from strong materials to protect your headphones from bumps and knocks on flights and in transit, the case has inner pockets for storing accessories such as USB devices and SD cards, and its handle makes carrying easy. The HDJ-X7 and HDJ-X5 both come with a compact carrying pouch, which snugly fits around the folded headphones to save space in your luggage and reduce the risk of damage on the road. The HDJ-X10 and HDJ-X7 headphones come with two detachable cables: a 1.2 m coiled cable (approximately 3.0 m when extended) and a 1.6 m straight cable. The HDJ-X5 model comes with a 1.2 m short coiled cable (approximately 1.8 m when extended) that’s ideal for both DJ performances and everyday listening. An L-type mini-jack prevents the connection from being knocked or accidentally disconnected during performances, even in cramped booths. To guarantee long-term, reliable performance, we include a 2-year warranty with all HDJ-X model headphones. 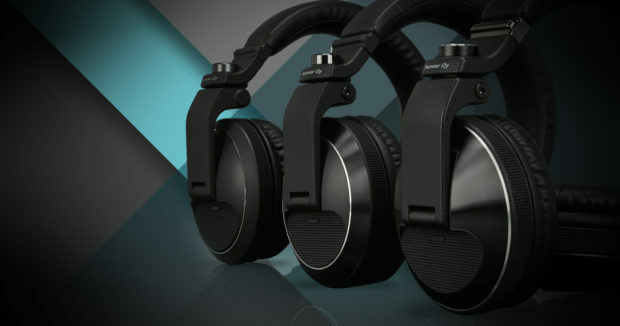 2 First headphones in the world to reproduce frequencies from 5 Hz to 40 kHz in the DJ headphones market (according to research conducted by Pioneer DJ Corporation Ltd, 21st August 2017). 3 First headphones in the world to feature nano coating in the DJ headphones market (according to research conducted by Pioneer DJ Corporation Ltd, 21st August 2017). 4 MIL-STD-810G METHOD 516.7 SHOCK compliant. Posted in DJ Gear, DJing Tips and tagged DJ Booth, DJ Pool, dj tips, Gear Review, HDJ-X10, HDJ-X5, HDJ-X7, Mobile DJ Tips, Music Pool, Pioneer, promo only, Record Pool on August 31, 2017 by djnickjames. 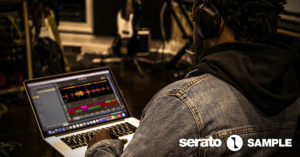 New from Serato – Serato Sample – a high-quality production plugin that makes sampling fast, simple and fun. Key features include the ability to quickly find, chop, key-shift and time-stretch samples, all with studio-grade sound using the power of Pitch ‘n Time. The plugin has already garnered praise from DJ Dahi, long-time Kendrick Lamar collaborator and Damn producer. This legendary beatmaker likened its ‘find samples’ modes to old-school sampling methods like popping a needle along a record. “We wanted to set producers up for those happy accidents – often the most enjoyable part of making music,” says Maclaren. 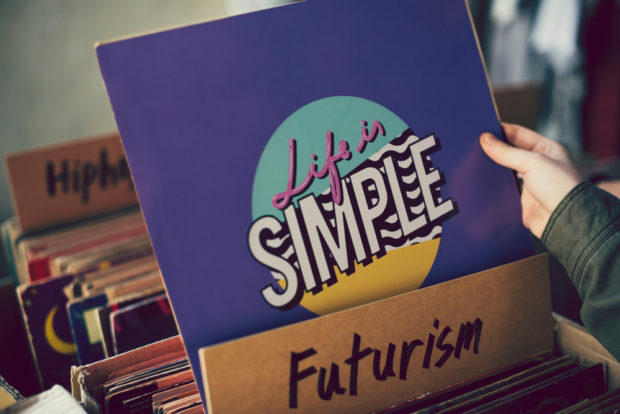 “There’s a lot of features in Sample that help you discover entirely new parts of a track you may never have found otherwise. Serato Sample is now available for download, including a free 30 day trial. Anyone who downloads will gain access to a bank of free Loopmasters sample packs, and in-depth tutorials. Time-stretch samples to extreme values using the power of Serato Pitch ‘n Time. It’s also easy to sync samples to your project. Find the key and then shift it with the power of Pitch ‘n Time. With one click Serato Sample’s algorithm finds 16 of the best samples to work with. Use Serato DJ’s popular Cue Point workflow to quickly set and trigger pads. Including Ableton Live, FL Studio, Logic Pro and Maschine. Sample will also work in other DAWs that support AU/VST plugins. the game with the release of Serato Scratch Live, and later Serato DJ and Serato DJ Intro. 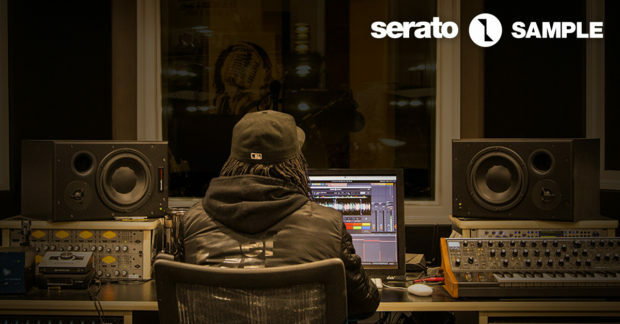 Now, Serato has returned to the diverse world of production with the release of Serato Sample. A high-quality sampling plugin for producers. Posted in DJ Apps, DJ Gear, DJing Tips and tagged DJ Pool, dj tips, DJing, Mixing, Record Pool, Serato, VJing on July 11, 2017 by djnickjames. 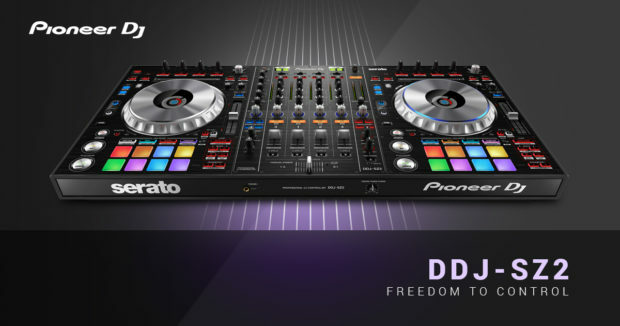 Pioneer DJ has upgraded their flagship Serato DJ controller to create the DDJ-SZ2. Use the new DDJ-SZ2 4-channel controller to get hands-on with the latest additions to Serato DJ, including key shift, key sync, pitch play and Serato Flip. The multi-colored Performance Pads give you instant feedback on pad modes and playing statuses, and thanks to the improved jog wheel latency, scratching is more responsive and precise than ever. The DDJ-SZ2 will be available in the U.S.A. and Canada in January 2017, with a retail price of $1,999.00. Watch the DDJ-SZ2 introduction video. Learn more about the DDJ-SZ2 controller for Serato DJ. Pioneer is putting a voucher for a free Serato Video expansion pack in the boxes of the first 3,000 DDJ-SZ2 controllers that they ship worldwide. This comes along with the Serato DJ, Pitch ‘n Time DJ and Serato Flip expansion packs bundled with the controller as standard, so if you’re one of the first DJs to buy the DDJ-SZ2, you’ll have full control of audio and video performances. Big Jogs: Scratching feels natural on the big jog wheels taken from the CDJ-2000NXS2, and the illuminating On-Jog Display gives you information about the current playback status and position for more precise performances. Jog Feeling Adjust, also from the CDJ series, lets you customize the resistance and backspin time. Multi-colored Performance Pads: Use the large, multi-colored tactile Performance Pads to trigger Hot Cues, samples and FX. Hit the pads harder to increase the volume of samples and watch their colors change as they indicate the selected pad mode and playing status. Dual USB ports lets you hookup two computers at the same time and use the top-loaded A/B switch for seamless DJ transitions. Key shift, key sync and pitch play: Use dedicated controls to trigger the new key shift and key sync functions in Serato DJ, which let you adjust the key of tracks and sync the keys of tracks during mixes. Pitch play lets you play your Hot Cues across a range of different keys and assign them to the controller’s Performance Pads. Sound Color FX: Spice up your sets with the four popular Sound Color FX from our DJM series; Echo, Jet, Pitch and Filter. You can sync Echo with the BPM of the track that’s playing. Hear your tracks loud and clear thanks to the audio circuit inherited from professional Pioneer DJ gear. Contact resistance is reduced by the AC inlet, and the high-performance D/A converter made by Cirrus Logic, Inc., and low jitter oscillator mean the DDJ-SZ2 reproduces clear and powerful sound that’s faithful to its source. * Mac and Mac OS are trademarks of Apple Inc., registered in the U.S. and other countries. Pioneer DJ Americas, Inc. is the subsidiary of Pioneer DJ Corporation responsible for sales and marketing in North, Central, and South America. For more than 20 years, Pioneer DJ has been a market leader in the design and production of innovative DJ equipment and software. The company works closely with DJs and clubs to deliver next generation products that inspire and shape the global dance music community. Its portfolio includes brands such as Pioneer Professional Audio and Pioneer DJ Radio, rekordbox dj software, as well as social platforms KUVO and DJsounds. Pioneer DJ Corporation is a privately held company headquartered in Yokohama, Japan. Posted in DJ Gear and tagged best record pool, DDJ-SZ2, Music Pool, Music Subscription Service, Pioneer, Pioneer Controller, promo only, Record Pool on December 20, 2016 by djnickjames.